Hades Canyon NUC features Intel's new Core i7 with Radeon Vega M graphics. Intel’s tiny NUC PC initiative finally gets the gaming chips it deserves with the roll out of two new models that feature one of the company’s new Kaby Lake G chips, pairing a Core i7 with AMD Radeon Vega M graphics. The NUC8i7HVK features an unlocked Core i7-8809G CPU, which includes an unlocked quad-core CPU with Hyper-Threading and the faster Radeon RX Vega M GH GPU. The NUC8i7HNK features a Core i7-8705G, which contains a quad-core CPU with Hyper-Threading and the lower-end Radeon RX Vega M GL. The fastest previous Intel NUC machine was the “Skull Canyon” model that featured a quad-core 6th gen Skylake CPU and Iris Pro graphics. While faster than lower-end Intel graphics chips, most gamers would turn their noses up at it. It’s unlikely graphics will be what turns gamers off on the new “Hades Canyon” NUC though. The main difference between the two new models will primarily be the graphics performance. From what Intel has claimed, Core i7 CPUs with the “GH” version of the custom Radeon RX Vega M will reach up to GeForce GTX 1060 Max-Q levels of gaming performance. The “GL” will offer greater than GeForce GTX 1050 performance. Intel’s newest Hades Canyon NUC feautres a crazy amount of ports on front. That basically translates to 1080p gaming on Very High graphics settings on most games with the GH version, and 1080p/Medium with the GL version if Intel’s claims are true. As always, Intel won’t ship the Hades Canyon NUCs as complete PCs but as BYOC kits. You buy the NUC and need to add your own M.2 drive, DDR4 SO-DIMMs, and an operating system. 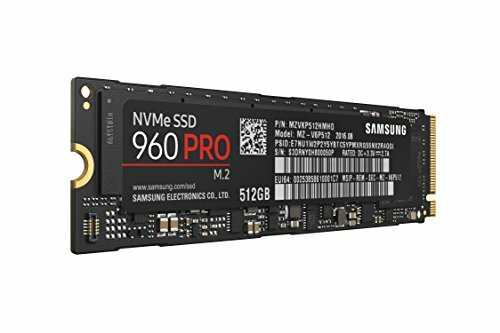 Internal expansion is decent for a tiny computer and can take up to two M.2 PCIe SSDs and two DDR4 SO-DIMM RAM modules. Intel goes hog-wild on external features though. Each NUC features no less than two Gigabit ethernet ports, six USB Type-A ports, two HDMI ports, two miniDisplayports, and three Thunderbolt 3 ports. (Phew!) All told, Intel said up to six displays can be simultaneously driven by the Hades Canyon NUC. For power, Intel includes a 230-watt power brick in the box with both models. The GL version of the NUC is expected to retail for $800 while the highest-end version will come in at $1,000. And the back of the NUC has even more ports!